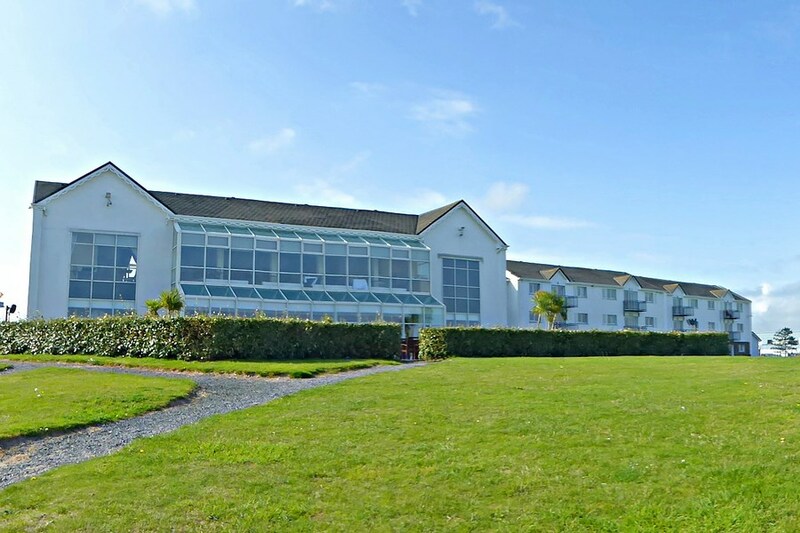 The Quality Hotel & Leisure Centre, Youghal is located on the coastline of East County Cork alongside Red Barn Beach in Youghal. It is approximately a 30-minute drive from Cork City, Ireland's second largest city.Â This hotel enjoys a spectacular location. It located alongside one of Ireland's most beautifulÂ beaches.Please note 2 bedroom apartments in this Hotel are used a Family & Triple room when they are availableÂ and are next to the Hotel. Travelling from Cork City on the N25, direction Waterford and Rosslare, take the 1st exit left for Youghal and travel under the bypass towards Youghal for approx 0.5km. Take a right turn onto the R633 for Ballymacoda. Travel on this road for approx 1km.Â until you see the sign for the Quality Hotel & Resort. Turn immediately left and continue for 0.5km until you arrive at Redbarn Beach the Hotel.Travelling from Waterford or Wexford on N25, in the direction of Cork City, take the Youghal Bypass Road. Travel half way until along this road until and leave it when you see a sign for Youghal Town. Travel approx 0.40km until you see a right turn with a sign for The Strand. Take this right turn and travel to the end of this road. Take a Right Turn at this T Junction and continue for 1KM. Take a Left Turn onto the R633 for Ballymacoda. Travel for 1km until you see the sign for the Quality Hotel & Resort. 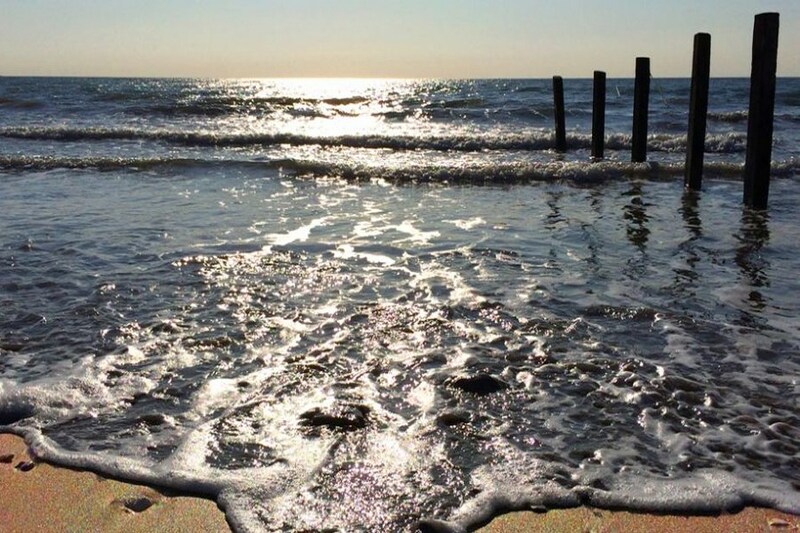 A renowned family centre with miles of blue flag beaches and a celebrated past reflected in its historic buildings...Youghal, a scenic walled port with an undiscovered past, is situated at the mouth of the majestic river Blackwater. It is a region steeped in history, for it was here that Canon Law was first inscribed. We were a family with 2 children. we stayed for 3 nights over the easter hols. we really enjoyed this hotel. The kids club and movie nights went down a treat. we had a nice meal in the restaurant, beautiful views. the room was adequate. the ladies in reception and in restaurant were very nice and always helpful. nice swimming pool area. I felt they just need a little more choice on the bar food menu overall we had a lovely stay and got a fab deal through this website. Had a lovely stay in The Quality Hotel, Youghal. The two girls in the Reception were very friendly and went out of their way to make us feel welcome (Sandra and Sarah). We had a lovely big room with a Jacuzzi which was a great plus for us. Eileen in the restaurant was also very friendly. The location of the hotel is perfect - right on the beach. The breakfast was OK. We didn't have dinner there. We got a great deal on this hotel and will definitely be back. enjoyed our stay In the quality hotel, while the room was very comfortable and the view spectacular, I was disappointed with the bathroom overall, the shower didn't work properly, the was insufficient towels, no hand towel.. it didn't make a huge difference to our stay as everything else was great, the food in the restaurant was top class..
Great Location other than that very basic. Staff in reception not great and didn't really know what they were doing. Accomodation was basic at best food very basic also, breakfast presentation left a lot to be desired. Standards here are very low. Great views though. Wouldn't go back. Great location, friendly staff, great facilities. Room ok, in need of a little care and attention, especially the bathroom. Overall a great base for a holiday to explore the surrounding areas. Food excellent in bar but with a limited choice, breakfast was average at best. Good nightly entertainment. Hi, we had a nice stay at the hotel, but we had a few concerns. We ate at the hotel bar on arrival and my toasted sandwich was cold and had to be returned. The chips they served were the most horrible chips we have ever seen and the few we got in the basket for the price of them. Even the kids didn't like them. The night we ate in the restaurant we asked if they had the same chips as were served in the bar and the lady said yes, why and we told her they weren't nice. She said we should mention this to the Manager as he won't listen to them, but we didn't. We had to ask on both nights for the heating to be switched on in our room as it was cold. Regards Mag. We stayed here for Easter weekend Saturday and Sunday . Reception was lovely, very friendly, nice check in and quick. We stayed in a 2 bedroom apt, which was basic and clean but grand. The fridge door however was broken and in general the kitchen area was a bit grubby. Our 5 year old went to kids club while we went to dinner and my husband checked on him afterwards and he met him coming out the second door into the hallway, with no one watching him so we would be concerned on security . We didn't send him the second night. They didn't make it interesting and wasn't popular film. Food was nice, but nothing major. we went for food elsewhere the second night and was fabulous. The staff in breakfast / dinner area were very friendly and nice but very some seemed untrained and nervous. The area for breakfast was very slapdash and untidy, plus the food by 10.50 when we got our breakfast was cold. Nice place, this was out third time there, but they need to sharpen up their game on the basics to get the customers back. Stayed here last week for 2 nights and we had an amazing time, ,hotel staff were all lovely and even though I left it late to look for an extra spare bed for one of the kids, the reception staff went out of their way to supply one... the food was fab,, entertainment in the bar every night , games room, kids club, even a little shop near the car park for any little bits needed for the apartment.. I love the appartments too and the fact that you are literally 'on the beach' and a swimming pool and gym as well, made our holiday absolutely perfect,, thanks to everyone at the hotel.. we will be back.. Ann and family in Kerry. Superb staff, fantastic kids facilities, spacious room. Unbeatable value for money. Great staff, great food and great atmosphere. We'll be back! We have just returned from a three nights stay in this hotel. We were given a two bedroom apartment eventhough I only booked a family room. This arangement worked very well for us. We have two children, 16 and 11 year old so the extra space was great. Location was good for the beach, a little further than we thought for Youghal town (5 kilometers). The hotels faclities were very good. My husband loved the gym, he has never been to a hotel with better gym equipment. The one complaint we had was no wifi. We were told everyday it was broken. Not great when you have teenagers. Food was good. Staff were ok,helpful most of the time but there seem to be abit of confusion with some of the senior members of the breakfast staff. Myself and my family had a great time the hotel and staff were excellent. I will be booking again before the end of the summer. lots to do for the kids in the hotel. If you jumped you'd land on the beach what more can you ask for. our one night stay at the quality hotel was a disgrace. before leaving for the hotel I rang to see what time we could check in as my baby needed a nap around lunch time I was told we could check in around 12. so we arrived at 12.30 to our room not being ready told to go wait in the bar until 1 and went back at 1 to be told room wouldnt be ready until 3pm. 3pm still no room ready! room finally ready at 3,30. baby is wrecked tired. was a horrible day so I couldn't even bring him for a walk in his buggy to get him to sleep. went up to room and requested a cot before arrival and I mentioned it twice while waiting for room from 12 to 3.30, when we went into room there was no cot, rang reception 10 minutes later the cot came up, foreign girl put it together I put my child in it and he fell to the ground because the cot was broke!!! I asked the lady that put the cot together to get me a fuvet for the cot as it was rock hard she came back with sheets to me I said I asked for pillows she said ''I speak no english'. then at 4.55pm a lovely irish girl came up and gave me a new cot and a duvet and apologised for the other lady giving me a broken cot which made my child fall through. my baby was very tired and contrary at this stage and we couldn't even go down for dinner in the bar. we were all in the room then from 5pm until the next morning. we left the hotel at 9am the following morning and we will never return back to this hotel!! Excellent hotel for children, great staff, food & actitives. Will be back. Enjoyed our stay.. Staff were great. Quality Hotel Youghal was my best holiday break after a long time. It was beyond my expectations. The friendliness of the staff; the warmth welcoming; the tidiness of the room and above all the food, a selection of items for breakfast and a choices of lunch and tea menu. The view from the restaurant was spectacular. I have recommended the hotel to many of my friends and absolutely I am coming to the hotel again and spend more days this time. brilliant holiday, lovely staff, everything we needed for our children, beach , play area , swimming pool and even bouncy castles and bubble games... totally recommend this hotel..
A most enjoyable, relaxing and affordable holiday. Our hotel room was nice, clean and had everything we needed. The bar and restaurant food was delicious and very reasonably priced. Above all, the staff surpassed their call of duty - They were friendly, accommodating and each and every staff member was very good at their job. Great location, very friendly and helpful staff, lovely food. July 10th Great location right on the beach with lovely views. Great for anyone who has a family ideal for them. Breakfeast was great but needs to expand on the dinner menu. I have been there before and will go back again. A great location for anyone with kids. The hotel right on the beach. There was also swimming pool in the hotel.The rooms were clean and pretty much sound proof. The staff could not have been more helpful or friendly. Will definitely be back to stay. Clean room, friendly staff and comprehensive breakfast choice, perfect for short stays or family breaks with the beach on the hotel's door step. Would recommend staying as long as you are aware where the hotel is located in relation to Youghal Town Centre. Just a wonderful location for anyone with kids. Hotel right on the beach with a swimming pool and gym facilities right at the hotel. Along with the kids clubs its just a great setup. The apartments are great, giving the parents some space in the evening when the kids are asleep. The staff could not have been more helpful or friendly. We will be back again next year, this time for a weeks stay. Great location,right on the beach and great facilities for kids.Upgraded to a two bed apartment at no extra charge.We had a great weekend.Staff very friendly and helpful.5th time there and will definately go back. Really happy stay at the hotel. Lovely friendly staff. Great location. Would highly recommend, and will definitely go back. We thoroughly enjoyed our stay here. The restaurant staff were especially professional and friendly and we thoroughly enjoyed our meal. Our kids were (6 and 2) were fussed over; and it was a family friendly environment. Entertainment for the kids was provided in a cinema room. Our 6 year old caught the 7pm movie, however we did not check the movie at 9 pm was for over 12's so I would check that in the future, that was totally our error. The room was spacious, and had a tv/dvd player combi if you needed to wind down the kids in the room! The mattress could have been better, but after a day on the beach, fresh air and well fed it really didn't matter to us and the kids, but may be annoying for someone else. Breakfast was delicious with continental and hot buffet, I couldn't fault the restaurant. Check out was smooth and quick. I would return to this hotel again and would recommend to friends. Room clean and comfortable. Staff very friendly and helpful. Meals were tasty and well presented. A very relaxing few days. J.Murphy. as usual the quality hotel youghal was excellent. Accomadation spotless, Food excellent,leisure center facilities brillant,and right on the beach and of course the staff very helpfull and obliging.Have being taking breaks here for years and must say quality and service has never lowered its standards and not forgetting value for money.would highly recommend,brillant for families. I cannot say that I enjoyed my stay at this hotel. The hotel was freezing, and I don't just mean the foyet and communal areas. The room was so cold, it was hard to tell if the sheets were damp or not. I have never experienced this (ever) in any hotel I've ever stayed in. Usually hotels are too warm! I do believe that the hotel had been closed during the winter and was not long open, but we had booked in advance, so therefore they knew of our arrival. When we explained at reception, we were told there was a problem with the heating, but the thing was, the heating was actually on in the room! It was only by the time we were leaving that the room had started to warm up! We were given one of these blow heaters for the room and were told many times that we were the only ones that complained. This annoyed me, as not everyone is willing to speak up! As well as that, there seemed to be only four members of staff. The cleaning lady was also a recepionist and the two people running the bar were also cooking the dinner. The food was way below standard and we had to wait so long (because of lack of staff) which isn't an easy thing to do with two small kids! Over all, the leisure centre was where we spent most of our time (and was excellent, and clean). But when you go on holiday to a hotel, you don't expect to have to sleep in your clothes with your two kids in the bed, just to keep warm! 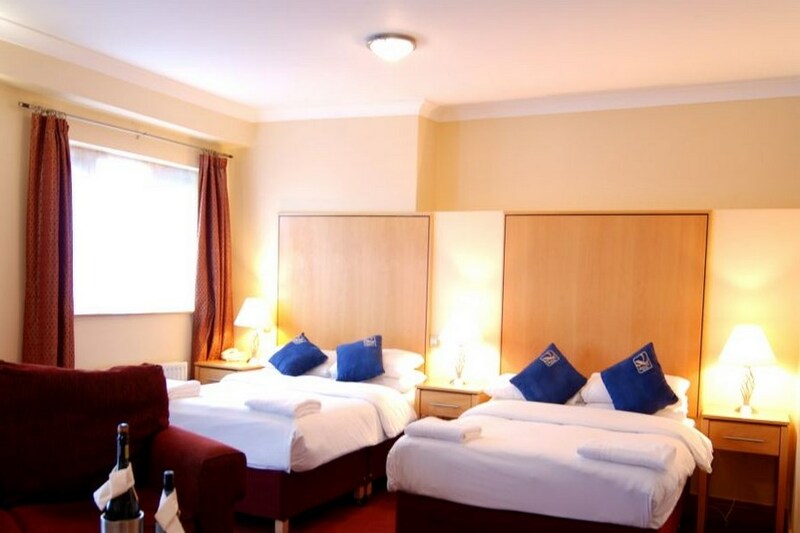 Two night break at mid-term - nice hotel in great location - leisure centre great and films on for kids in the evening allowing the adults to eat. Can walk into Youghal along beach in about 45 min. Very pleasant stay - we enjoyed it. Very happy. Stayed in 2 bedroom apartment next to hotel. Clean well equipped, friendly staff. Good facilities. Good food at fair prices in restaurant. Would love to stay there again. reception, room, food was lovely. the pool staff i thought could keep an eye on the pool users instead of being on the internet looking up m&m direct & you tube. The hotel in all was fantastic just stayed the one night with two young kids,as we booked a family room it was a great room with plenty of space and kiddies cartoon's!! Bar,restaurant and reception staff were very friendly. The view's from the restaurant were fab in the evening. I'll recommend staying here!! We stayed in the quality hotel in youghal for a few nights for our daughters first birthday, and we had a ball. The staff were very friendly, the location of the hotel is perfact as right on the beach, the room was clean and we couldnt hear any noise from the bar etc at night so our daughter slept very soundly. Perfect spot for a family holiday and we will def be making a return visit!! We stayed just one night in August while touring around Co Cork. The real bonus of staying here is the location which gives immediate access to a fantastic stretch of beach and also to the surrounding area. Good value hotel and would stay here again - maybe longer next time to sample the leisure centre as well. Myself and my husband stayed 2 nights B & B with one evening meal although location of hotel was fab because of the weather the food was not. If i was to stay again I would only go room only.